Monsoon brings relief from the scorching summer heat. One thing that’s omnipresent during this season is water. And, anyone with a sane state of mind would agree that water and electronics do not like each other. But it’s 2018 and electronics are a part of life. Basic necessities of an average working individual are no longer limited to “roti, kapda, makaan” (food, clothing, and shelter) but also include internet, smartphone, power bank and many other electronic gadgets. Humans as a species have evolved with our experiences. We are now able to apply the same survival and prosper strategy in terms of technology. Considering our dependence on gadgets, we need them the most during monsoons. Smartphones and most other electronic gadgets are scored on a certain water protection rating. IP64: Protection from sprays and splashing of water in all directions. Our smartphones are a digital extension of our overall personality. This is one gadget you do not leave at your home or office. With better technology, this gadget is becoming environment proof. Most flagship smartphones support some sort of dust and water resistance. 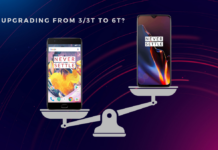 These features are trickling down to mid-range and may even be available on affordable phones soon. If your current smartphone is not weatherproof, there’s always a choice of weatherproof smartphone cases you can look up to. For monsoon and other extreme weathers, there are cases available in colours, features, and styles. Choose the one that suits your wallet and your style. Either way, this is the most used gadget, especially in monsoon. From delayed travel times to emergencies to awesome getaway destination pics/videos, your smartphone should be ready for you to enjoy this season. Try not to cheap out on smartphone protection. 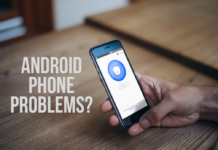 If you’ve got a new phone, try and get a liquid damage protection plan to be worry-free. Smartphones are connectivity devices and water protection is only to make them viable in unfavourable conditions. A smartphone is not a replacement to a professional camera like GoPro and thus, must be treated with care. Avoid swimming with your phone irrespective of its IP ratings. Water as a liquid is capable of dissolving almost any element. These elements can damage your phone or case. 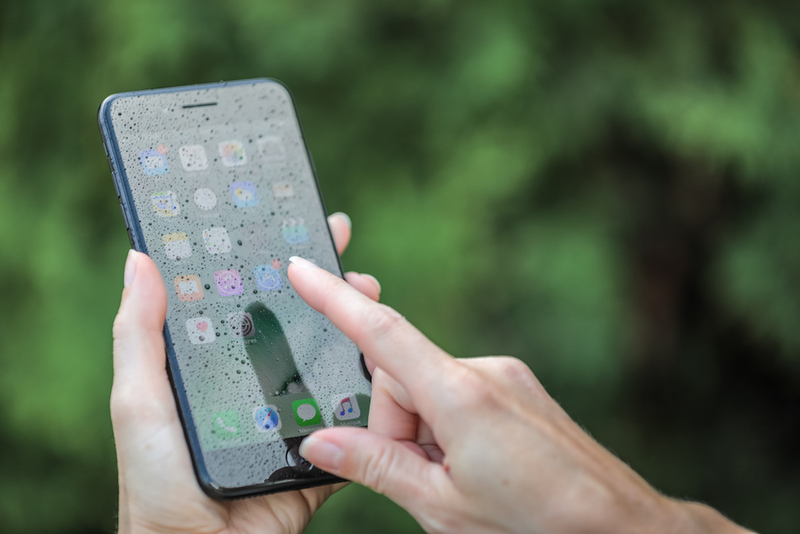 Keep your device dry and moisture free as the residue after water exposure might cause device malfunction. Despite IP ratings, if the phone is exposed to liquid, remember to clean the exposed ports with a dry microfiber cloth. If there is something that you should definitely invest in for the monsoon, it has to be a good weatherproof backpack. There are bazillion brands offering styles and sizes in weatherproof backpacks. Choose the one that suits your needs and style. If you do not wish to buy a separate bag for the monsoon, love the bag you own or desire a style that does not support weatherproofing, no need to worry. You can opt for stylish backpack rain covers available online and offline. Be careful though, bags have several openings and water seeping in could be a problem in heavy rain. They follow the IP ratings as well. Read the specifications and analyse the external material’s resistance to moisture/water. Not all brands sport IP ratings but promise splash resistance based on build quality. Monsoon and music are a divine match. Thanks to technology, some audio accessories like earphones, headphones and Bluetooth speakers are being made water/splash proof and in some cases dustproof as well. Do note that, most of these gadgets follow the IP ratings mentioned above. 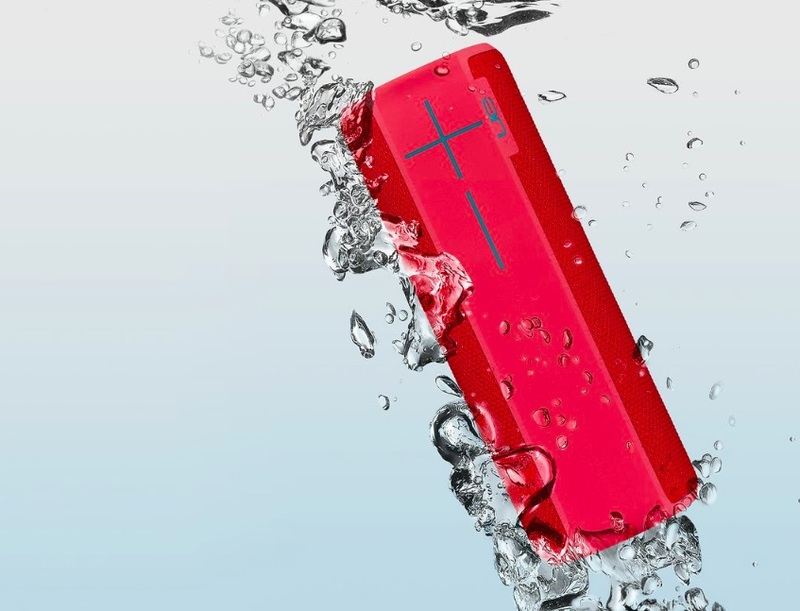 UE Boom is a prime example of water + music = Fun! Here is a hint – Most sports earphones and activity speakers are feature-loaded with water and sweat or splash resistance out of the box. Then, there are a few extreme pairs of audio accessories that can be taken for a swim as well. Monsoon or not, having weatherproof audio accessories makes life a little worry-free and could even act as workout motivators. Do not ever cheap out on audio accessories, especially when it comes to weatherproofing. Ensure that you select reputed audio brands with the best feature according to your budget. Ensure that your audio gear is dry whenever you charge the batteries. 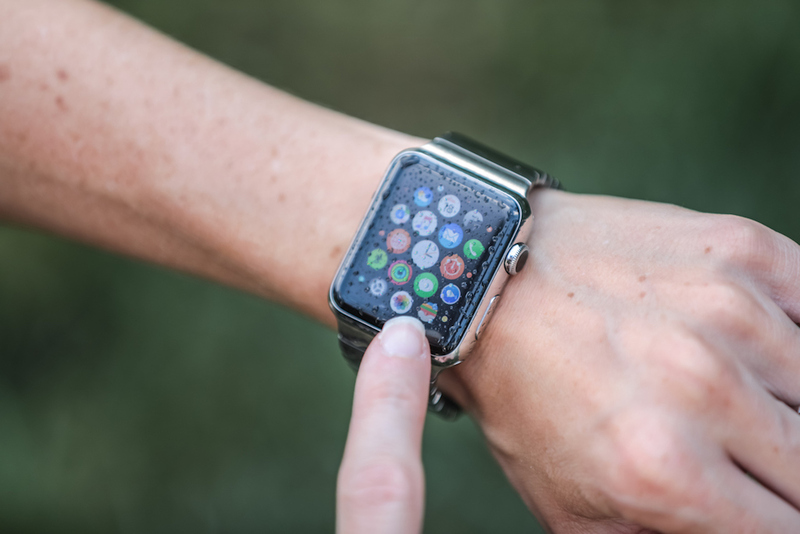 Considering that your smartwatch and/or fitness band sit on your wrist, they are more prone to changes in weather. It is advisable to invest in a decent weatherproof smartwatch and/or fitness band. Waterproof feature will not just add value but also make your investment much durable than the normal ones. No matter what you opt for, read the product specifications before you expose these gadgets to water. Specifically, try to look for depth and pressure endurance of your desired gadget. What are electronic gadgets without power! Especially when you are on a getaway time, you are miles away from a wall power socket. There are specialised water, splash and weatherproof power banks designed to power multiple gadgets. Considering that you would be using your power bank outdoor, investing in a weatherproof power bank makes sense. A few years ago, power banks with such features would feature insane price tags, but not anymore. Most of these feature loaded power banks are just a tad bit pricier than their normal siblings but add a whole lot utility. Ensure that the connectors are dry when you plug any gadget or device to the power bank. Being batteries, power banks are vulnerable to extreme temperatures and will degrade over a period of time and charge cycles. Do not use cables with cracks or any visible usage damage to ensure the health of your electronic gadget. Monsoons bring unpredictable rainfalls and thus it is always better to be prepared. With plastic bags banned in India, there are very few Indian smart tricks to be used in monsoon. Also, our gadgets are by no means cheap and safeguarding them is our own responsibility. 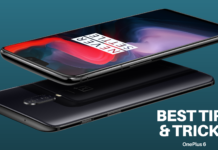 If you are on the verge of buying a new gadget, consider opting for one that can withstand India’s dynamic weather changes. If not, there are several accessories that aid your gadget’s safety during monsoon. Invest wisely, stay prepared, insure your gadgets and enjoy the monsoons.